Karl Barth's work---especially The Epistle to the Romans and Church Dogmatics---changed the direction of modern theology. He has been called a modern church father. 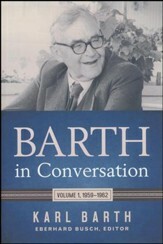 In this brief survey, Mueller---one of his students at the University of Basel---discusses Barth's life and thought, theological development, central convictions, major concerns, and creative handling of difficult areas. 155 pages, softcover from Hendrickson. David L. Mueller (1929-2010) was professor of theology at Southern Baptist Theological Seminary and visiting professor at the Presbyterian Seminary (PCUSA). 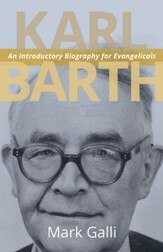 Karl Barth (18861968) is perhaps the most influential Protestant theologian of the twentieth century. He has been called a modern "church father," who belongs in the list of the most illustrious theologians in the history of Christianity. 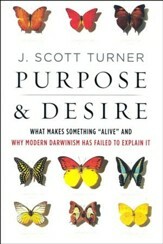 The whole course of modern theology changed direction because of his work. His Epistle to the Romans "fell like a bomb on the playground of the theologians." This is Karl Barth, who dominates the theology of the twentieth century. Even his opponents must establish their positions with respect to his. Although this book is a brief survey of the life and thought of Barth, Dr. Mueller does an excellent job of confronting us with Barth himself. His theological development, the central convictions that dominate his work, his major concerns, his creative treatment of difficult areas - these are amply discussed and illustrated. Primary emphasis is given to Barth's treatment of the doctrine of revelation and the knowledge of God. Mueller also discusses Barth's christocentric approach to theology, especially as it is seen in the doctrines of election, creation, man, and reconciliation. 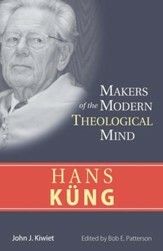 About the Makers of the Modern Theological Mind series: Who are the thinkers that have shaped Christian theology in our time? This series tries to answer that question by providing a reliable guide to the ideas of the men who have significantly charted the theological seas of our century. Each major theologian is examined carefully and critically--his life, his theological method, his most germinal ideas, his weaknesses as a thinker, his place in the theological spectrum, and his chief contribution to the climate of theology today. Welcome to the series. 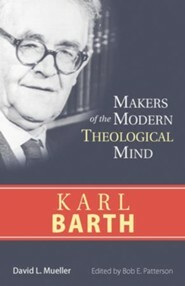 I'm the author/artist and I want to review Karl Barth: Makers of the Modern Theological Mind Series.